Free gift with purchase from Willa! 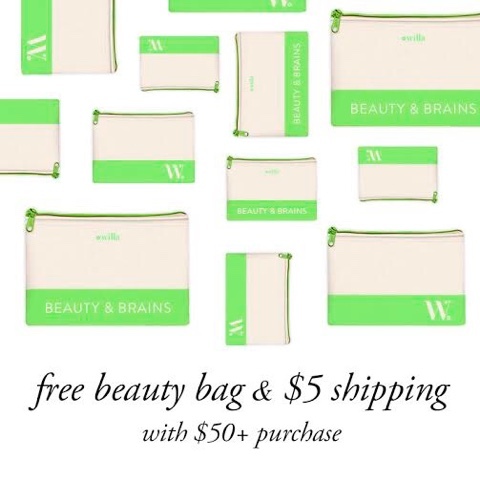 Starting June 15 through the June 30, when you spend $50 or more, you'll receive a FREE Beauty and Brains beauty bag with beautiful bright green accents, just perfect for summer! Also enjoy $5 shipping on purchases of $50-$99, and FREE shipping on purchases of $100+. Summer just got a little brighter!